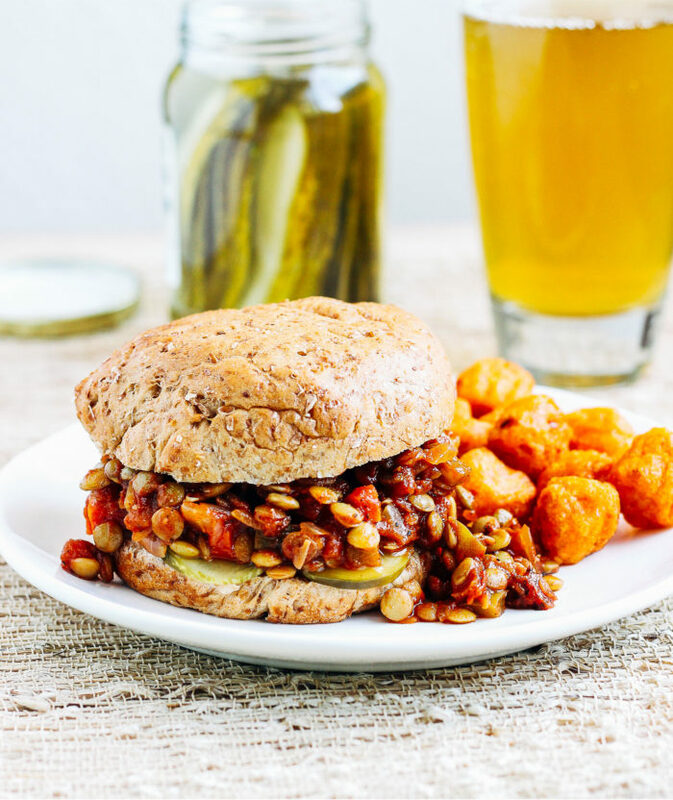 Lentil Sloppy Joes- a simple and healthy recipe for sloppy joes that will knock everyone’s socks off! Vegan and gluten-free. More often than not, I’ll Google a recipe before I make it to see how many times it’s been done and if there’s a method or version that might be worth trying. Turns out Lentil Sloppy Joes have been done A LOT, but there was one recipe in particular that I came across and could not get out of my head. What really stood out was the idea to add pickles. Let me just say…holy deliciousness. 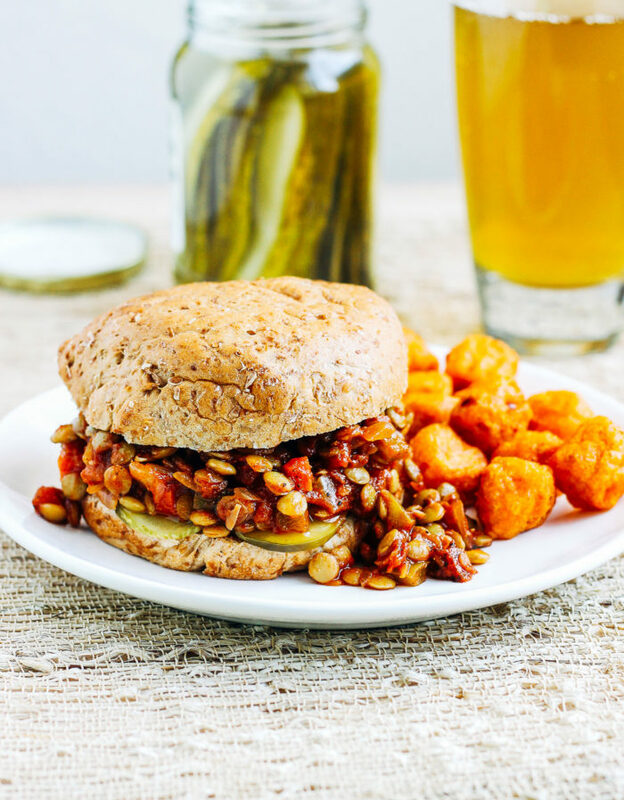 I’m not so sure a real Sloppy Joe would be as good with pickles but they are aaahhhmazing with the lentil version. The tangy crunch paired with savory, tender lentils makes one incredible combination. This was one of those recipes where I couldn’t wait to eat the leftovers for lunch the next day…and the day after. The lentils take a little while to cook and you have to chop a few veggies but for the most part, they come together in a reasonable amount of time. Plus, you could probably stretch it further than six sandwiches if you really wanted to. 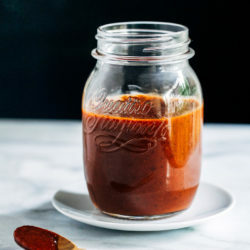 I made a few changes from the original recipe to create a more southern flavor using Worcestershire, mustard powder and ketchup, but you could always use more tomato paste if you are a ketchup-hater. Brandon is a ketchup-hater but he didn’t even notice it in this recipe. It’s funny what you can get away with when you don’t tell them what’s in it, hehe. In a large pot, warm the olive oil over medium heat. Add the onion, sprinkle with salt and pepper then cook for a few minutes, until soft. Add the carrot and the bell pepper along with the minced garlic, paprika, chili powder, and mustard powder. Stir together and continue to cook for another five minutes. Next add the crushed tomatoes, tomato paste, ketchup, crushed red pepper, vegan Worcestershire, apple cider vinegar and maple syrup. Stir to combine then pour in 1/2 cup vegetable broth and bring to a low boil. Stir in the lentils then reduce to a simmer. Cover and cook for 30 minutes over low heat, or until they are tender and have absorbed most of the liquid. *Soaking lentils is optional but helps to reduce cooking time. Be sure to use certified gluten-free products if you have a gluten allergy. 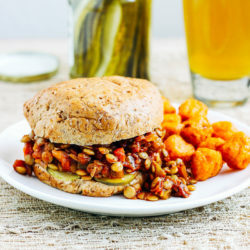 I’ve actually never had a real Sloppy Joe, but I’m in LOVE with the lentil version (Snobby Joes ;) ). 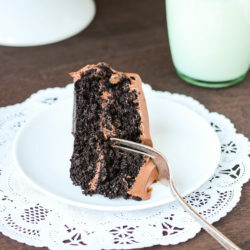 It’s been a while since I’ve made them, so I’m definitely keeping your recipe in mind for when the craving strikes. Yesss these look amazing! Minus the pickles….don’t hate me. Very good recipe to make use of lentils. And sloppy J (H)oes….lol. Lentil sloppy joes are one of my favorite meals, but Josh doesn’t like them (ohhh no more left overs for me!). 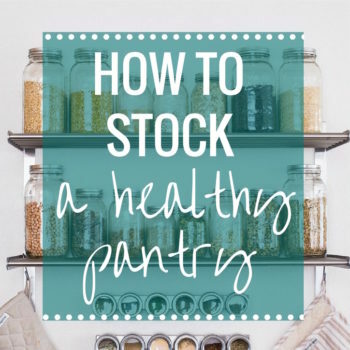 I have a recipe I love, but I rarely make them because lentils take so longer to cook than I’d like — love the tip about soaking them! I never knew that. Any post that starts with an ode to pickles is a win in my book. Seriously I have a weird obsession with pickles! And I’ve never eaten a sloppy Joe…Can you believe that? They kind of freaked me out but this recipe looks amazing! 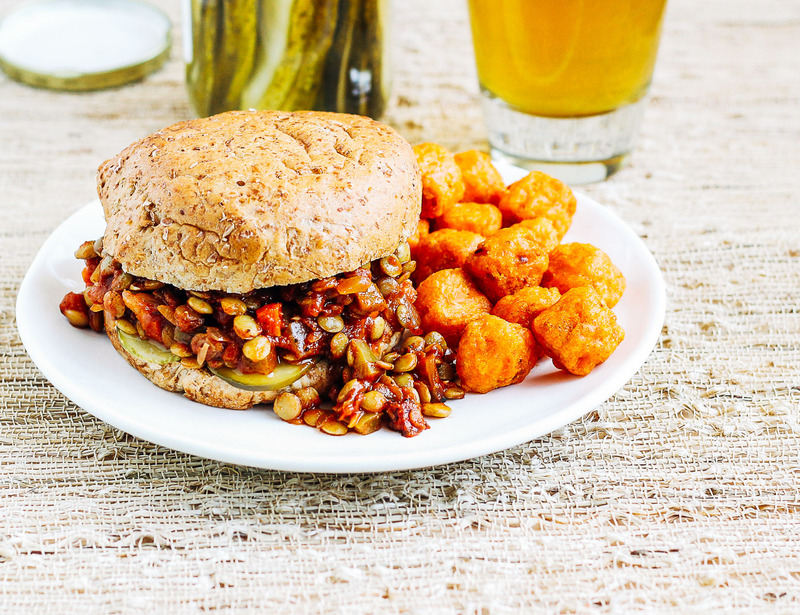 It has been ages since I had a sloppy joe…and i’ve never had a lentil version! Definitely intrigued…although, now i’m concerned with the Brandon-doesn’t-like-ketchup thing. There’s people out there that don’t like ketchup!?! Craziness. I have had lentil sloppy joes in the past and LOVED them. This version sounds absolutely fantastic. And let’s be honest, adding pickles sounds absolutely amazing. I’m definitely adding pickles to mine next time! Another great comfort food! 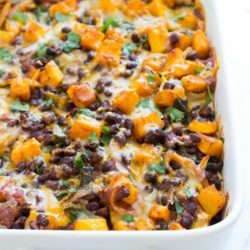 This looks so delicious and so easy! Love that this is vegetarian and the base is lentils. Yum, I love lentil sloppy joes! They take a bit longer to make but they are seriously delicious. And with pickles? Perfection. Still giggling over sloppy “hoes” haha. I love sloppy Joes, even though it seems like I haven’t had one since I was a kid! I never thought a pickle addition would sound good, but I totally believe you! I’m on a huge lentil kick at the moment! These sloppy joes sound fantastic. I always get the “are you pregnant” because I eat pickles like candy! can’t get enough. Yum, these sound really good. I’m trying to decrease the amount of animal protein I eat and lentils are one of my favorite cheap protein sources. I’m pretty sure the last time I had a sloppy joe was in an elementary school lunch haha! I ADORE pickles and love lentils- this recipe is definitely happening this week. It sounds mouthwatering. Thanks! I love pickles and cheese! And no I am not pregnant either! 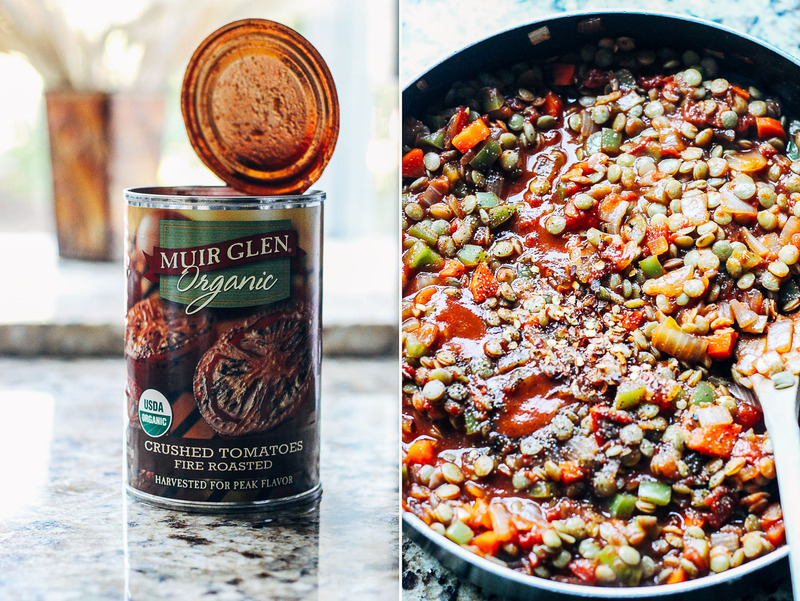 I’ve never had lentil sloppy joes but the recipe sounds delicious! I had sloppy joes all the time as a kid, so I love coming up with and trying new updated versions. Really really love the use of lentils. And I’m also intrigued with the addition of pickles, I’m a pickle person so I imagine I’d love it! I love lentil sloppy joes (or should I say hoes haha) but I’ve never put pickles on before!! I’ll have to try that next time….mmmm! I love Ashley’s recipes, they always look amazing. This looks delicious! I really need to get onto sprouted lentils to see if they hurt my stomach less so i can go back to having them again. My best friend loves pickles so anything with pickles always reminds me of her. I would’ve never thought of something like this, awesome recipe!! This isn’t a kind of food that I would normally gravitate to but your pictures and enthusiasm have me convinced I need to try this immediately! Also, pickles are THE BEST. That is all! I must admit….regular sloppy joes totally creep me out! 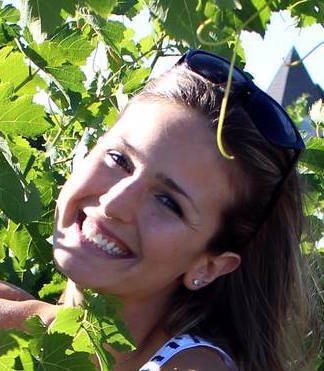 These beauties, however, are right up my alley! YUM. 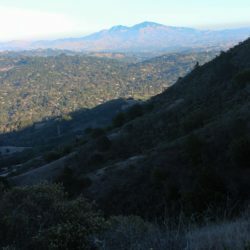 Your photos are just gorgeous. And these look so fantastic. I always tend to forget about lentils, but I love them so much so I really need to start using them more! 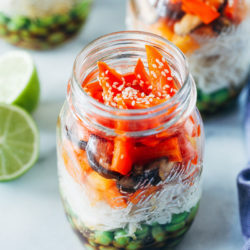 I love your bright photography and I am going to try this recipe as soon as possible! I have never had a Sloppy Joe before. They never sounded appealing. But this does. Go figure haha. I loved you lentil barley stew so I am sure I will LOVE this. Pingback: Monday Meal Planning | Lenore: Trapped in a House. These are really good. I don’t overnight soak the lentils because I can never plan ahead that much. My luck I would do it and then forget! These look delicious – I can’t wait to make them!! I have to know – what is served on the side in the picture? Whatever that is looks yummy! I want to make these soon. What kind of buns are pictured above? I am looking for vegan /gluten free buns. Any suggestions? Those are sprouted wheat buns from Alvarado Street Bakery. They are vegan but not GF. I wish I knew of a good gluten-free bun but I have yet to find one that has a decent ingredient list. They are all full of starches and gums. I will keep my eye out and let you know if I find one though! Thanks so much you are so nice to reply so promptly!